The students and those who knew her well just called her “Miss Eddie Mae”. It is in her honor that the group of people who spearheaded and conducted the efforts to restore the former St. Mary’s Church/Pocahontas Colored School have given the building the name “The Eddie Mae Herron Center”. She was the school for the African American children who attended between the years of 1948-1965. Miss Eddie Mae actually began her teaching career in what was known as the “Biggers Colored School” [of Biggers, Arkansas] in 1940, but moved with the children to Pocahontas with the closure of the Biggers school. In this one-room school, Miss Eddie Mae taught everything, with heavy emphasis on the basics, especially reading. 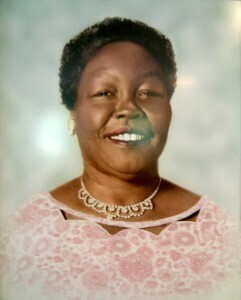 Court records reveal that Eddie Mae Hill (incorrectly designated as “Etta May Hill”) married E.W. Herron in 1936, and lists her age as 26 at the time of the marriage. In 1959 Miss Eddie Mae married Ollie McDonald, and after his death would marry one final time, to Elbert Henry Jones, in 1965. Based on the ages listed for Miss Eddie Mae on marriage records, she was born circa 1908-1910. When the one-room school on Archer Street was closed due to consolidation, Miss Eddie Mae was hired by the Pocahontas Public Schools to teach reading but moved to Blytheville, Arkansas after the first year of teaching there. She died three years later at Blytheville. She held an AB degree from Philander Smith College, Little Rock, and had done graduate study in reading, science and health at the University of Arkansas.